It's a combination inverted back extension and oblique flexor set at an exact 45 angle for ultimate conditioning. Strengthen your lower back safely and comfortably on the strongest 45 Hyper available. 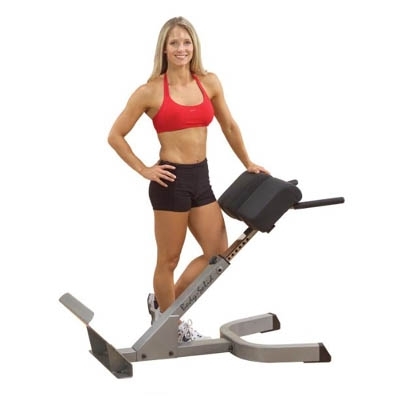 This combination Inverted Back Extension and Oblique Flexor is set to an exact 45 angle for optimum conditioning. Telescoping midsection pads adjust to all size users and feature thick, double stitched DuraFirm"! pads for comfort and support. Over-sized 8" foam rollers hold you securely in place. Fully adjustable 4" thick midsection pads provide maximum comfort for all size users.